We offer the fine products by JR Watkins at Brey's on Seventh. The J.R. Watkins Company was established in 1868 and has been known for quality products produced from the finest ingredients. Established in Plainview Minnesota and moved to Winona Minnesota in 1894. Winona was a thriving logging town and a transportation hub for southwestern Minnesota and at that time the 4th largest city in the state. The company’s corporate office remains in Winona.. The “Watkins Man” is an iconic part of the J.R. Watkins product line, which was independent dealers that traveled throughout the rural communities bringing the Watkins line to customers in their homes. With over 300 products in the line today we are pleased to be a part of this rock solid Midwestern company. We continue expanding our stock offering using our customer’s feedback to broaden our offering to suit local needs. Unlike the early days we don't travel to our customers homes but do want to make this line conveniently available in Estherville Iowa. 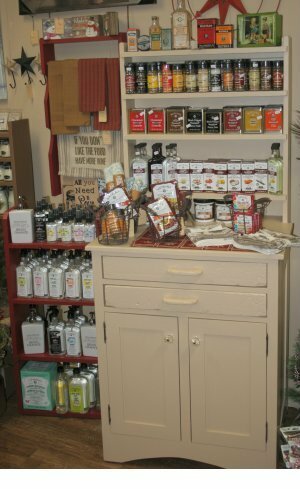 We offer spices and spice blends, extracts, soup and sauce bases, scented liquid hand soaps, air fresheners, and have the full Watkins line available for special order. We order monthly so that all our products are fresh so regardless if it is a food product or home care product, let us help you with your needs. We especially like that Watkins food products do not use MSG, hold sodium to a minimum, and use pure natural ingredients whenever possible. This means that the nutritional information will not include ingredients with unpronounceable names. Cleaning products are earth friendly with no harsh chemicals and every effort is made to provide minimal packaging that is recyclable. We have tested many of the products in our home and store and find that they exceed our expectations. The scented hand soaps provide a subtle fragrance that adds to the enjoyment of the product with no strong offensive lingering scent. The spices are packed with flavor and will enhance your cooking or baking items. proud to bring them to you in our store.